Link-type rear suspension connects to a truss-style swingarm and a single shock absorber with seven-way spring preload adjustability providing 4.1 inches of smooth and responsive suspension travel. Long, wide 4.1-gallon fuel tank flows smoothly back to the seat. Attractive raised fuel filler includes indicator lights for turn signals, high beam, and low fuel. Cast aluminum 16-inch front and 15-inch rear wheels with a seamless black finish. Black outer tubes on the 41mm inverted front forks add sporty looks and performance feel. A wide and comfortable seat is shaped for a smooth visual harmony with the sporty rear fender (ideal when set up with the optional seat cowl). Bright, multi-reflector headlight and a LED tail light that’s performance-inspired match the tail section design. Robust, 805cc (50 cubic inch), liquid-cooled, fuel injected, V-twin powerplant is built to deliver exciting torque from down low in the rpm range. 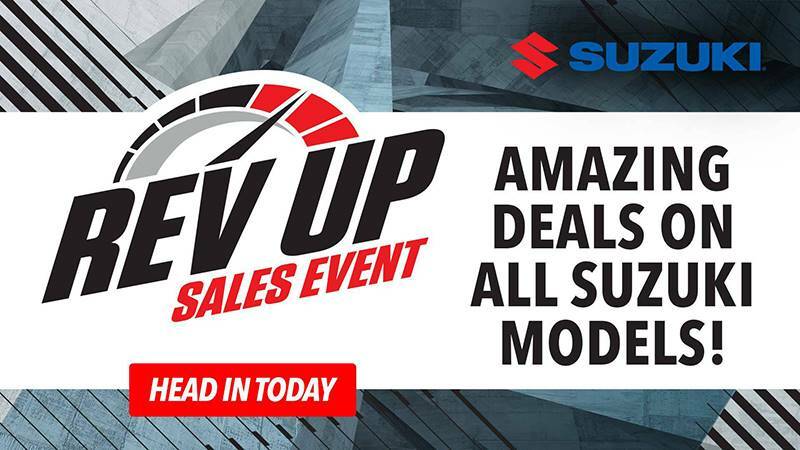 Electronic fuel injection system features the Suzuki Dual Throttle Valve System (SDTV) that maintains optimum air velocity in the intake tract for smooth low- to mid-rpm throttle response and high torque output. Powerful 32-bit-processor Engine Control Module (ECM) helps ensure precise fuel injection control. Cutting-edge 3D-mapped digital ignition system using a throttle-position sensor helps boost the hallmark big V-Twin’s down-low torque. Chromed and staggered dual exhaust system mounted on the right side of the engine is tuned for responsive torque delivery providing a deep, rumbling exhaust note. 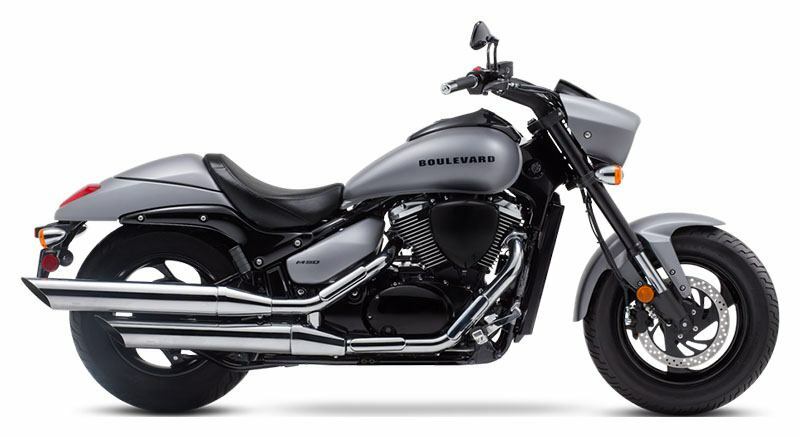 New Metallic Matte Fibroin Gray paint and graphics amplify the Boulevard M50’s muscular look. Fifty cubic inch (805cc), 45-degree, V-twin engine rumbles through the staggered dual mufflers as it puts power through the shaft drive and down into the wide rear tire. 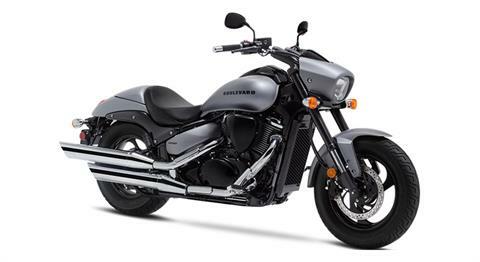 The headlight nacelle, short risers, and drag-style handlebar form a distinctive Suzuki style that telegraphs the M50’s performance intentions. The bodywork is sleek and purposeful from nose to tail and looks even sleeker when the optional tail cowl is on in place of the passenger seat. The large-diameter inverted forks and beefy swingarm with hidden rear shock give the bike a tough, aggressive stance but deliver a smooth, controlled ride. 12-month limited warranty. Longer warranty coverage period with other benefits are available through the Suzuki Extended Protection Plan (SEP).